Along with all of that, the site includes some incredible artworks by Rafael Grassetti, lead character artist at Sony and Jose Daniel Cabrera Peña, concept artist at Sony’s Saint Monica Studio. They’ll probably make some good wallpapers for both Desktop and Mobile devices. 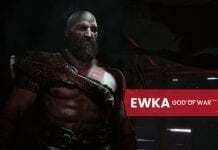 What do you think about the new settings of God of War? Shall you be comfortable with the Norse setting? Keep in touch with Spiel Times for more gaming, technology and esports related information, news and stuff. Very nice arts. 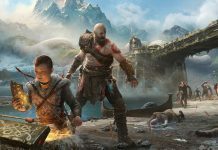 Im wonder if new God Of War will be using PS4 Pro features like HDR or 1080p/30fps or maybe more? Neverthless GoW is a great series and i hope that this part will be returning of a king. God of War in 4K is what every GoW fan needs. Plus the story’s going to be ‘heart-melting’ according to Barlog. So, there’s a reason to look forward for it eagerly.